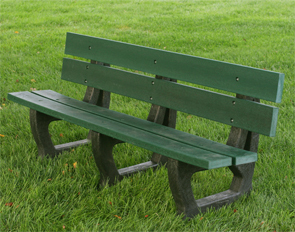 Built solid with round edged 2" x 6" Resinwood slats and sturdy black recycled plastic frame bases. Convenient pre-drilled holes make for an easy assembly. 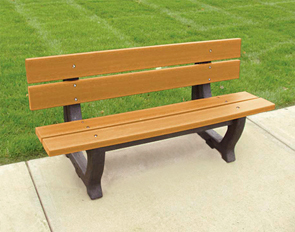 These modern style Resinwood recycled plastic benches will provide long-lasting beauty in any setting.